We don’t know where exactly modern fashion is heading, but obviously, it is far from being high, pure, or eternal. Catwalks and Instagram are ruled by normcore, minimalism, and sometimes outright trash. You could tolerate it if these seemingly simple things didn’t cost a fortune. For example, you would have to pay almost fifteen hundred dollars for these “dead” running shoes. How do you like that? Designers have a rough time. It is much more complicated than it seems – to stand out and find your niche in the world overcrowded with things. You have to resort to tricks and be outrageous. French fashion house Maison Martin Margiela didn’t use to be like that. Until today. Now, the French offer their loyal fans to pay a small fortune for a pair of ragged sneakers. The Maison Martin Margiela fashion house was founded by the Belgian designer in the late 80s. For almost 30 years, it has managed to acquire a decent number of boutiques, big-name fans in the world (including the controversial rapper and a part-time designer, Kanye West) and even their own line of expensive perfumes. 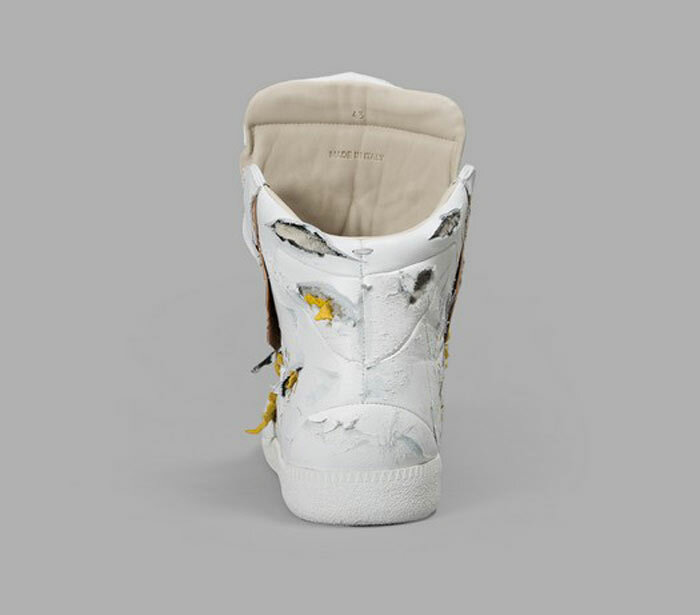 And now it offers the buyers the “gem” of the new 2017 collection – high-top faded sneakers with holes. The designer sneakers look as if the previous owner had worn them for ten years without removing. In addition, the previous owner didn’t seem to bother too much about neatness. 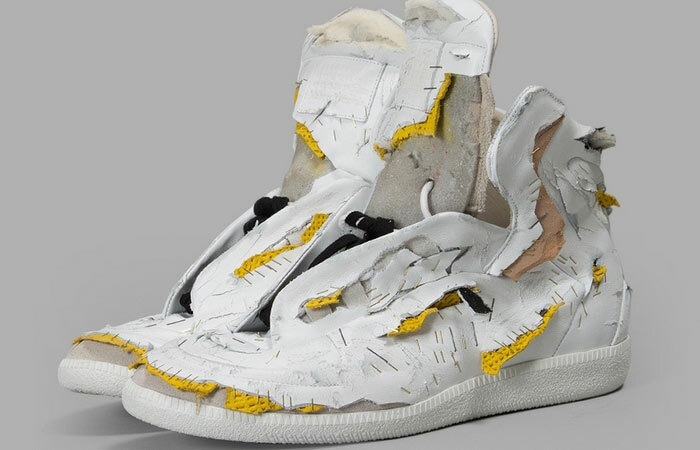 Holes, cracked and loose pieces of leather, fake rubber foam sticking out from the designer cracks, and paper clips holding this mess together – this trash is offered to be worn this spring and summer. 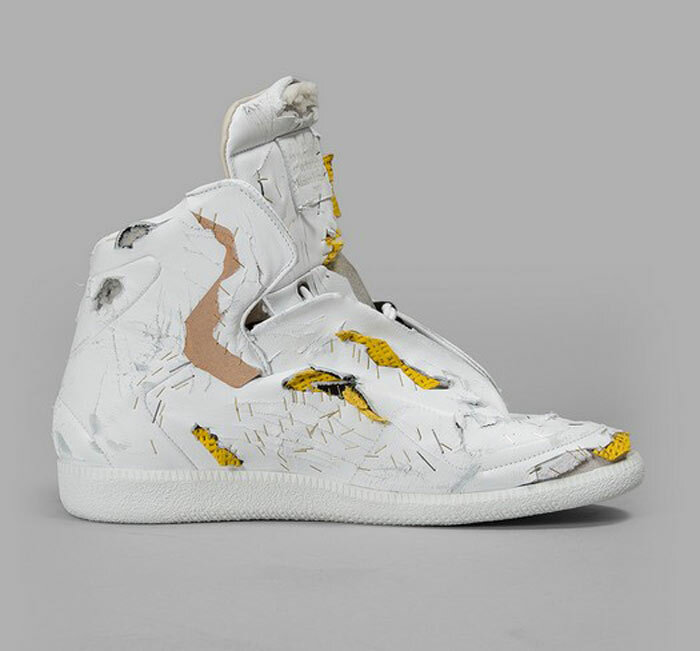 The price for the Maison Martin Margiela sneakers is no “trashy” – $1425 dollars. What have we got to do: not everyone can afford to look like a stylish beggar nowadays. 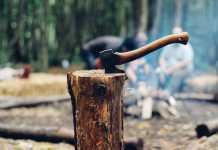 Previous articleHow to Cope with Anxiety and Change Your Life for the Better?